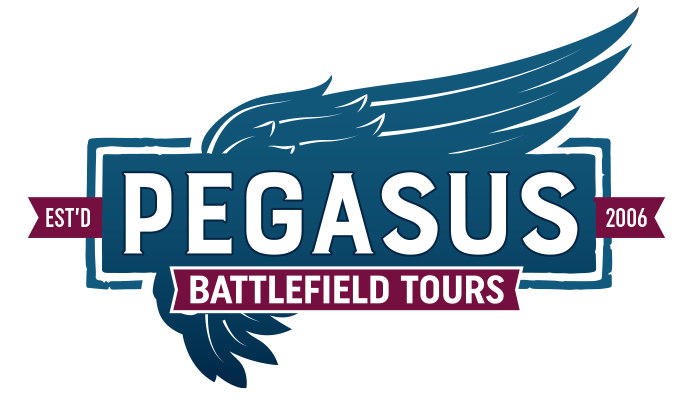 This tour begins at Pegasus Bridge where the action began in the early hours of D-Day. 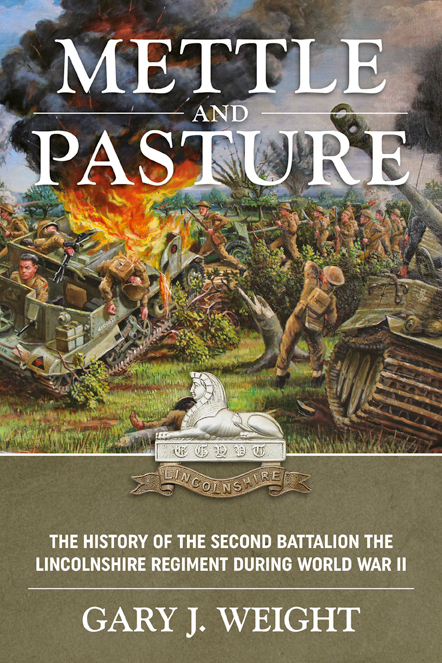 We look at how the men from the 2nd Ox & Bucks Light Infantry landed in gliders during the night to undertake one of the most audacious and important objectives of the entire war. We then move up onto the high ground where the Commando brigade found itself embroiled in a month long war of attrition. 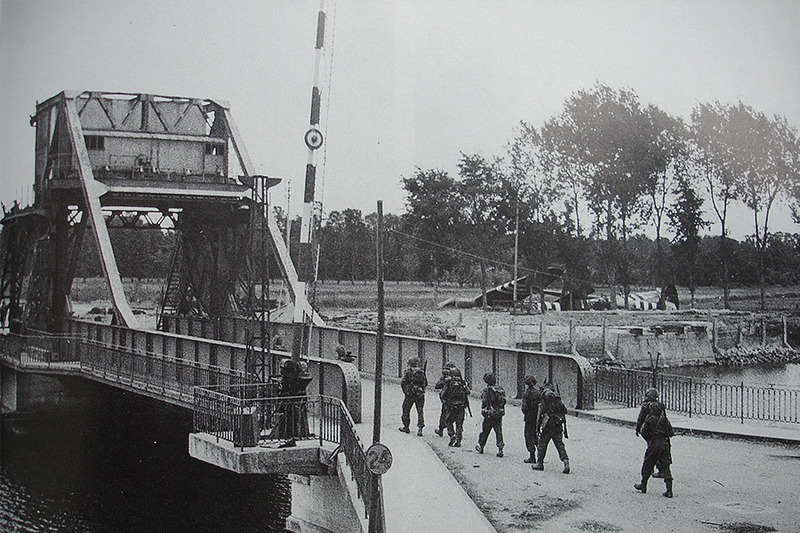 The battle of Bréville was a hard fought action resulting in huge casualties for both sides and we then drive across the 6th Airborne Drop Zone N to Ranville where we visit a former HQ and Field Hospital. Afterwards we pay our respects to the fallen at the sobering Ranville CWGC Military Cemetery. Lunch is taken at the famous Café Gondrée, the first house liberated in France, next to Pegasus Bridge. The afternoon begins at the Hillman Battery – an underground German bunker complex – formerly a German HQ and the scene of heavy fighting on D-Day. We then move the short distance onto the Périers Ridge where the entire battlefield of Sword Beach may be viewed and the German counter-attack during the afternoon of D-Day is explained. A short journey down to the beach examines the various landings on Sword that day and we then proceed along the coast to Juno Beach where an overview of the Canadian landings is explained and we stand on the spot where such personalities as Churchill, Montgomery, King George VI and de Gaulle first landed in 1944. The tour then visits various spots of Gold Beach, we visit the location where the only VC was won on D-Day and we end the tour at the engineering marvel that is the majestic Mulberry Harbour at Arromanches. 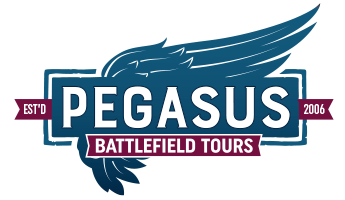 This tour is designed to give an excellent overview of the British involvement on D-Day. Dear Gary, On behalf of myself and my family may I thank you for a most wonderful day. The visit exceeded all our expectations, we were all most grateful for the way you were able to bring to life the events surrounding the invasion and most obviously the way in which we were able to follow in the footsteps of both my father and the other brave troops involved in the invasion. I can honestly say that it was a very humbling occasion, a great pity my Dad never talked about it! Good places to stay - Ouistreham, Arromanches, Crépon, Creully or Caen.